The Clovers bullion clutch is beautifully handcrafted in India. The luxurious linen front is embroidered with clover patterns, using an contrast of red to create structure. 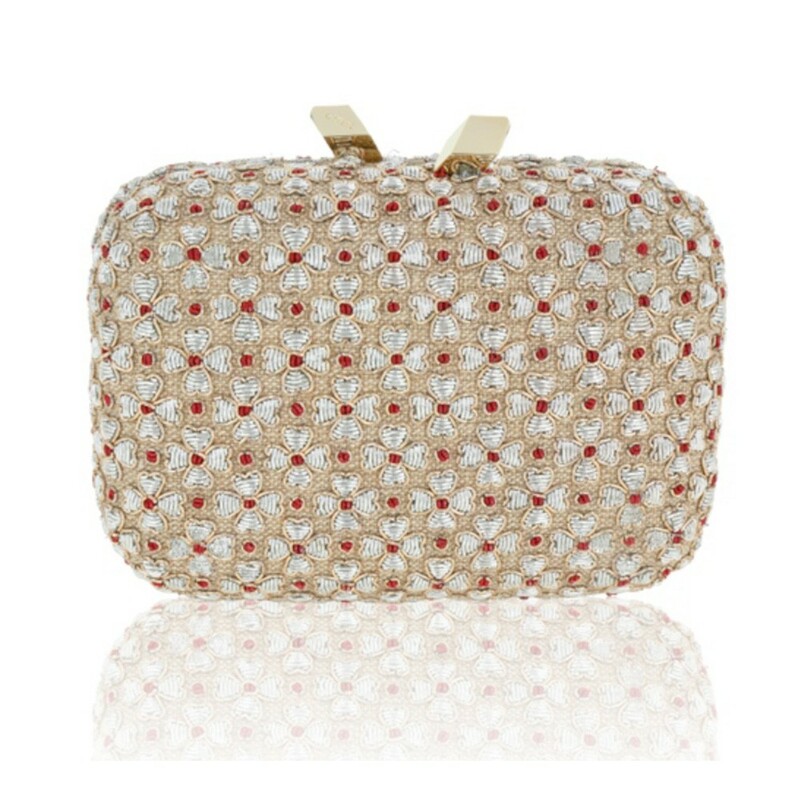 The clutch features KOTUR's signature double rock magnetic closure, brocade lining and a 30 cm drop-in chain. A compact shape that fits your evening essentials, including your iPhone 7. Follow Kotur on your favorite social sites for the latest design trends, celebrity sightings, brand content and more. Tell us what inspires you! Get the latest sales, trends and celebrity sightings.